From then on go to the website of iflix or use their app if supported. Please see supported devices between iflix and Unlocator at the bottom of this page. 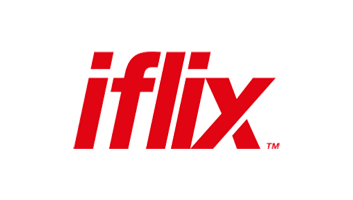 Iflix is a Malaysian streaming channel that lets you watch some of the most popular shows and movies on TV from BBC, NBC, Disney, Warner Bros, Paramount, Universal and MGM. Iflix is geo-blocked outside Thailand, Malaysia, Indonesia, and some other South East Asian countries. Therefore, only viewers residing within these countries have access to iflix. To work around this, you would need a solution that hides your location from the site, and allows you to bypass these geo-restrictions. Unlocator does exactly that. It allows you to stream Iflix from Australia, France, Germany, Canada, or anywhere else in the world you might be. Read on to learn more about Unlocator. ‘Sorry, we’re not in your country yet’. That’s the geo-error you receive whenever you try to access Iflix overseas. To get rid of the error message, configure Unlocator DNS on Android, Chromecast, iPad, iPhone, OS X, Windows 10, Windows 7, Windows 8, Windows XP. Unlocator does not change your public IP address. In other words, you can unblock geo-restricted channels without losing access to your local streaming channels. Your Internet speed also stays the same. One Smart DNS setup is all you need to unblock all the channels we do support, regardless of where these channels are available. You can either setup Unlocator on each streaming device individually, or configure your router instead. All the devices connected to that router will be able to bypass regional restrictions. If you are using your mobile Internet connection, you can use our Smart VPN feature instead. Sign up for a free Unlocator free trial account. You do not need a credit card to complete registration. Installation is easy and does not take long, but just in case you run into any issues, feel free to contact our support team by filling in this form.